Born in 1989, Daria made her debuts as a soloist with orchestra at the age of 10, performing Mozart Concerto no.8. Winning First Prize in the prestigious IV BNDES International Piano Competition in 2014 brought her appearances with the Brazilian Symphony Orchestra, the Orchestra de Experimental de Repertório, and a recital series in Sala Sao Paolo and Theatre Municipal of Rio de Janeiro in Brazil, Weill Recital Hall of Carnegie Hall in New York, and Salle Cortot in Paris. In October 2015 she was named Laureate of the Marguerite Long International Piano Competition, performing with the Orchestra de Chambre de Paris at Theatre de Champs Élysées. Honors include First Prize of the Rotary Club International Piano Competition in Mallorca (concert series in Spain, Germany and France), performances in the Great Hall of Moscow Conservatory, Salle Gauveau (Paris), 35 Londrina Festival and Festival VII Virtuosi Gravata (Brazil), Schlern Festival (Italy), Museum of Modern Art and Foundation Oscar Americano (Sao Paolo), and Aptos Keyboard Series (Aptos, California). 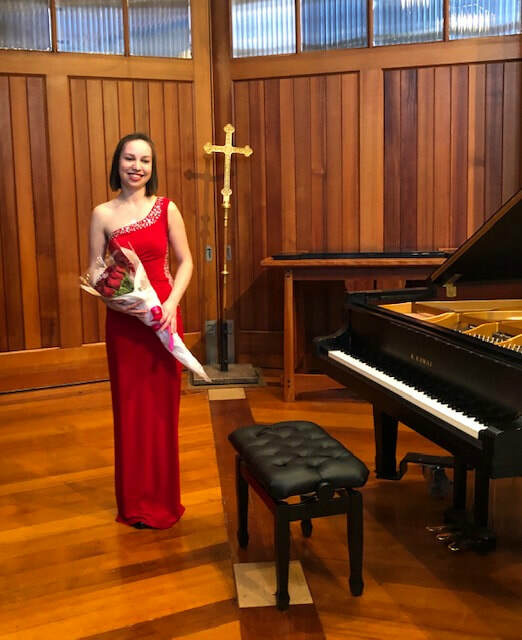 Daria graduated from Moscow State Gnessin College in 2010, studied at Moscow’s Tchaikovsky Conservatory with Andrei Diev, and since 2014 at TCU School of Music at Fort Worth with Dr. Tamás Ungár. Daria was the Gold Medalist in Level D Solo (ages 24-35) and the Concerto Division of the 2016 International Keyboard Odyssiad® & Festival. Read a review by Scott MacClelland of her 2016 performance for the Aptos Keyboard series here.